University of California Press, 9780520245020, 496pp. In 1933 Ludwig Wittgenstein revised a manuscript he had compiled from his 1930-1932 notebooks, but the work as a whole was not published until 1969, as Philosophische Grammatik. 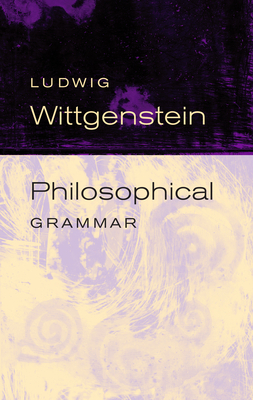 This first English translation clearly reveals the central place Philosophical Grammar occupies in Wittgenstein's thought and provides a link from his earlier philosophy to his later views. Rush Rhees was in the Department of Philosophy at University College, Swansea, Wales. Anthony Kenny was a Fellow of Balliol College, Oxford.